Full Renovation Completed December 2017! 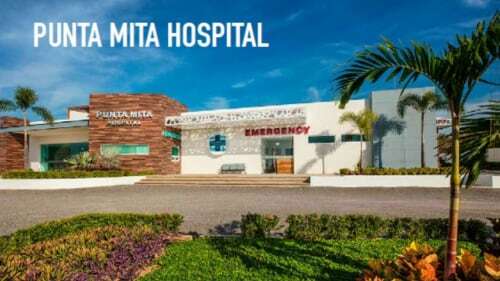 Full renovation completed December 2017. Amazing! Not just “upgrades.” Rather, everything is new including the construction of the spectacular penthouse suite. Professionally designed and decorated. Attention to detail. For the guest who wants perfection with laid back vibe. Simply nothing better in Sayulita. All bedrooms air conditioned. Wi-Fi throughout. Tommy Bahama amenities. 600 thread count linens. And Azucena, our wonderful housekeeper, will be there five days a week to keep Casa Palmar looking spectacular. Casa Palmar is ideally situated in the Villas Palmar Condominium complex on the preferred north side of town. The only noises you will hear are the surf breaks and the swaying palm trees. Yet restaurants are just outside the condo gate or walk six minutes via the street or beach to the Mexican charm of Sayulita’s small town square. Walk everywhere yet shoes are optional. The beautiful swimming pool, surrounded by lounge chairs on the manicured lawns, is just steps away from our open air kitchen. The glistening sand of the sprawling beach is just beyond the pool. For a couple that wishes to experience the very best. Open the sliding glass doors and, while lying in the Indian hardwood king-size bed, pass the time with spectacular views of the Pacific Ocean. Sip your morning latte while sitting at the parota hardwood coffee table in the outdoor kitchen, complete with stove, microwave and full size fridge. Take an open air shower with views of the swaying palms. Chill on the terrace chaise loungers and watch the morning surf break, soak up the afternoon sun or gaze at the nighttime stars. Upscale bohemian. Heaven. You won’t want to leave. Absolutely wonderful for family or friend gathering. Comfortably sleeps up to eight. First floor has master suite with king size bed and beautifully tiled master bath with glass enclosed shower. Open the bedroom sliding glass doors and have your morning coffee at a cozy table for two nestled behind a Mexican Acalypha tree. Beautiful kitchen has custom-designed 7 foot slab parota hardwood table surrounded by built in benches and custom-made Sunbrella cushions. Plenty of room for the entire group to dine together. Kitchen sink built into cement countertop, with views of the pool and ocean that are steps away. Kitchen has all new amenities – stove, coffee maker, microwave and full size fridge to keep the limes fresh, cervezas cold and tequila chilled. Need beds for 10, or simply want to spread out? Rent all of Casa Palmar and have paradise for yourselves. The third-floor 1 BR Penthouse shares a common outdoor staircase with the 3 BR Duplex, situated just below. Ideal for larger parties, wedding groups, or family vacations. Casa Palmar. Upscale enough for the adults yet bohemian enough for the kids. Professionally designed and decorated to provide the perfect laid back atmosphere. The best of Sayulita. We stayed in the villa right on the ocean and loved every part of it. The location is extremely ideal for those who want easy access to the beach. There are lots of little bars and restaurants accessible, as well as one of the best massages I've ever had. There is a security guard constantly walking the ground so you never feel unsafe. 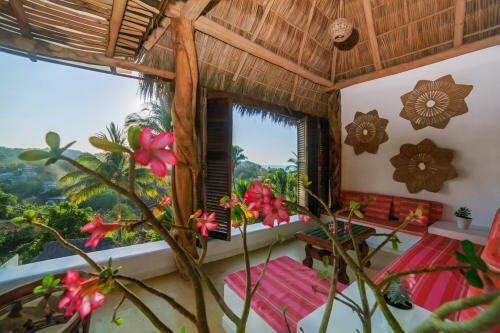 If I come back to Sayulita I will definitely stay at Casa Palmar. Everything I hoped it to be! Stayed on the top floor unit with my daughter just before Christmas- mouths agape as we entered. We are from Seattle, so the open air living concept, on the ocean was such a cool experience. Furnishings were beautiful, space was ample and clean, we loved it. Lukas responded nearly immediately to any questions we had. Azucara (I know I'm misspelling that!) went far above and beyond in servicing the room. The folks staying in Casa Palmar or nearby and shared the pool (which was never crowded) were incredibly friendly and fun. Seems the area draws the best of an eclectic crowd. I will be back! Thanks Ann! It was a pleasure hosting you and we look forward to having you back soon! 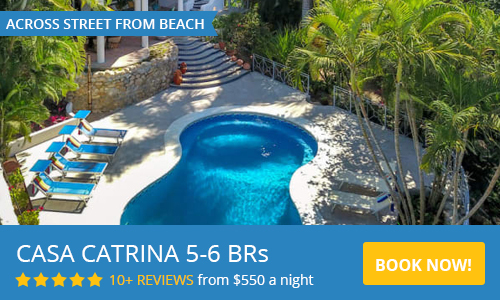 A perfect location for surfers and water lovers of all types, Casa Palmar is open to the beautiful weather of Sayulita and thoughtfully appointed. It’s recent rustic modern renovation will please design aficionados and outdoor enthusiasts. The three bedrooms are all air conditioned, although we kept our windows open to enjoy the tropical breezes. Located closest to the water of all the units, you can see the ocean from all but one bedroom, and even then that upstairs shared bathroom has a view of the water. The house was everything we expected and so much more. Great place to stay for a group as varied in ages as we were. We were close to town, so those not interested in beach coming could go into town easily. Surfing was just a few steps from the house. Several restaurants were just around the corner so eating out was easy. Maid service was great and having a washer and dryer available allowed us to pack lightly. Best way to get to Sayulita, fly to Puerto Vallarta and take a van from there. No need to rent a car. One of the best places we have ever stayed. Can’t wait to return to Sayulita and Casa Palmar! Thank you Lucas & team for a wonderful stay--I can't recommend Casa Palmar enought. A group of 10 of us shared the entire condo for 12 days and it was fantastic! Casa Palmar is a condo in a gated community with a security guard -- I always felt safe even though the property is accessible from the beach through a small foot gate. The condo is at the end of the row, right in front of the pool and common grassy area so it feels like you have rented an entire villa. We met many of our neighbors who were also enjoying the pool & sun chairs--it was delightful. The pool has a large shallow end where our 4 year old toddler was able to splash around while we kept an eye from our outdoor kitchen. The 2nd floor suite has two bedrooms that share a connecting bathroom. We thought 5 people sharing a bathroom would be a bit much, but it worked out just fine. There are soap and shampoo dispensers in all bathrooms which saved having bottles of shampoo everywhere, and there is a carafe for drinking water next to the sink for brushing teeth (do NOT drink the tap water in Sayulita!). Very thoughtful. The 3rd floor suite is really beautiful with an amazing view where we enjoyed sunsets. You can't hear any of the other floors from there so you are truly isolated if you just rent the upstairs, although you will see your neighbors as you go up & down the outdoor stairs. We have stayed in many placed in Sayulita, and this was one of the best--safe, secure, and close enough to town to walk (although we did rent golf carts since we had some kids--parking right out front of the condo to plug them in was no problem). Sayulita Paradise! Perfect Location. Amazing Views - beautifully decorated - everything you need!! Loved, loved, loved our time at Casa Palmar! Amazing location! Steps from the ocean, beautiful views! Superb margaritas and massages right on the beach -just steps away! The house is beautifully decorated and has everything you need ! Outdoor/indoor spaces are really spectacular and create an environment that is welcoming , balanced and incredibly scenic. The constant sound of the waves adds to the sense of peace you feel the entire time you are here. Already miss that amazing view of the ocean! Had a fabulous three-generation family vacation at Casa Palmar & everyone had a great time. Clean & comfortable home in a secure community; sleek concrete finishes made everything relaxed. Location perfect! Beach front, poolside, cafes right outside the gate & 5-minute walk to center of town. Don't miss the best margarita's in Sayulita at La Sirene bar on the beach, next to the massage tent. Yes - margarita's & massages right on the beach just steps away. Can't wait for our next visit. Loved everything about this place! Right on the beach, but not in the middle of town. Plenty of restaurants near our place and on the other side of the beach; everything is within walking distance! The condo itself was very well kept, (the maid was so sweet!) and had beach towels, chairs and umbrellas, as well as extra blankets for when the nights get breezy. Even saw a turtle lay eggs on the beach one morning! We had a great stay at this place. The view is gorgeous and we loved waking up to the sound of the waves. * 50% due at booking, balance due 30 days prior to arrival. * Deposits are refundable if home is re-rented, less a 15% fee. * If Dates not available, please check next door at equally beautiful Casa Tocayo for availability. We are here to help. Contact us with any questions! We live in Sayulita full time, and live for excitement and travel.